I remember with curiosity, walking by Comme à Lisbonne shortly after it opened. The shop was merely a tiny storefront that featured Pastéis de nata, the famous tartlets from Portugal that are often served by the platter since it’s often not possible to stop after eating just one. Interestingly, a number of bakeries in Paris do make pastéis de nata – some good, some just okay – but I don’t usually order them, preferring to stick to something French. But I was lunching with a friend in the Marais, and she’s a big fan of these Portuguese custard tarts, so I suggested we stop in for a taste. We each took one of the two low stools and sat down, ordering a couple of coffees. (I noticed a clean, well cared-for coffee machine, which is an encouraging sign in Paris.) Then we were each handed a warm little tartlet. Taking my first bite was a revelation; I’d had the pastries in Lisbon and remember liking them a lot, but the ones at Comme à Lisbonne just might give any French pastry a run for its money. After we left, I could not stop thinking about that warm little quivering custard, nestled in a crispy tart shell, all day. So when I woke up the next day, I put it on my “to do” list, to head back over there. Owner Victor Silveira, who tends the counter as well as the gleaming coffee machine, told me that the pastéis de nata are made using secret recipe from his mother. 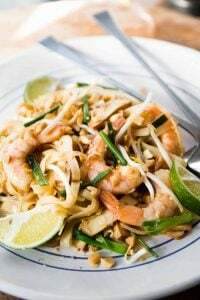 And unlike many versions, there are no starch-based thickeners used, which gives them their delicate lightness. At Comme à Lisbonne, they’re especially good because they’re served slightly warm – and although I didn’t take an optional shake of ground cinnamon over the top, while I sat and chatted with the owner, a number of the customers who spoke Portuguese with him, did. An added bonus is that the coffee is excellent. Apparently the Portuguese drink, and share the same respect, for coffee as the Italians do. So the coffee is imported from Portugal and care is taken when extracting each cup. 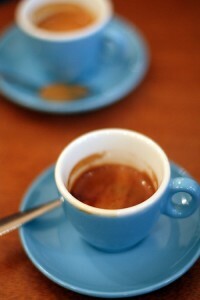 If you like your espresso “short” (like I do), be sure to ask for bica. 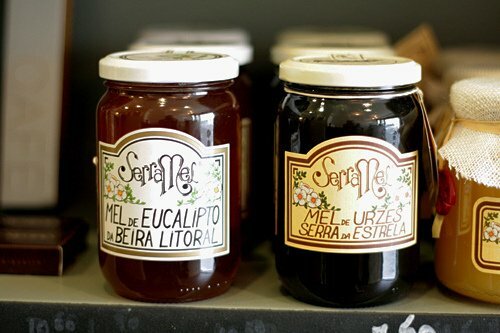 In addition to coffee, Comme à Lisbonne also has a compact, and colorful épicerie, carrying Portuguese products – ranging from pretty tins of sardines, hand-harvested flor de sal (fleur de sel), and big jars of dark honey. But the star of the show will always be the pastéis de nata, which fortunately goes perfectly well with a shot of hot coffee, or taken away as an afternoon snack while you stroll around the Marais. Oh my just got the shivers. And that espresso… I’d bet a million bucks that it is Delta. I don’t remember exactly what brand it was, but I do remember having very good coffee in Portugal at all those gleaming, stainless-steel coffee bars. Victor spoke very knowledgeably about coffee – so when you get a cup here, it’s reassuring to know that it’s going to be well-made. Sounds so heavenly. I so envy you David. they look like Chinese egg/custard tarts!! delicious! 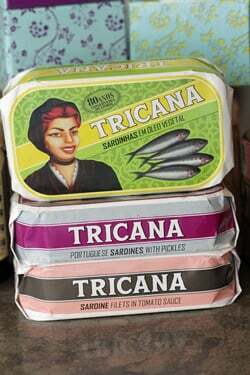 Sardine packaging is amazing ! Thanks for sharing David! We do take our coffee very seriously! The only thing I tend to miss when in Paris is a decent bica — I’ll keep the address for my next trip. And that’s, most definitely, a Delta cup of espresso (half) filled with proper coffee! I loved reading this! I spent a summer in Portugal a few years ago and am marrying into a big Portuguese family soon. I think I ate one of those pasteis de nata every day while I was there. There was a great little cafe across the street from the condo we were staying in. And you’re right about the Portuguese and their coffee–they love it. Thanks for this great post! Both times I went to Lisbon, I took a trip to that shop in Belen that sells these little pastries. They are amazing. I’ve been meaning to make them on my own one day. 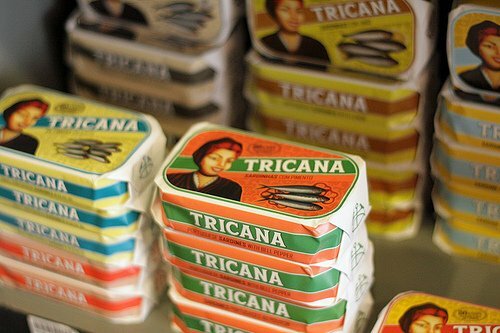 I am also a weirdo who loves canned sardines, so this place looks perfect. I don’t know when I’ll next travel to Paris, but I would certainly want to visit this spot, even with all the pastry wonders Paris has to offer. I can confirm they serve Delta coffee there (at least they did a few weeks ago when I had one there). Word, David. These are my favorite treats in the city right now! 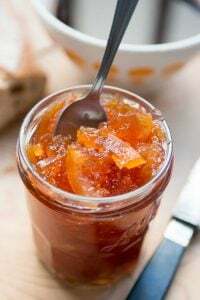 Have you ever tried to make them? Melissa: I haven’t tried making them. You need a very hot oven to get that characteristic browned top. But I rather enjoy knowing that I can take a stroll over there whenever the urge strikes for one. Oh, that’s going on our list for our May visit. Haven’t managed to get back to Portugal for a few years, so it would be great to get a hit right in the Marais. Thanks for the recommendation. @lena. the chinese egg custard tarts you get in hongkong, shanghai, guangzhou etc. are actually the same pastry. the portuguese brought them to asia through their colony macau. Oh… natas! I adore them. I was first introduced to them by a former colleague in Toronto who is Portuguese. You are so right; you can’t just stop at one, can you? Yes, it’s not the culture but the quality of the produce/products plus the care that’s put in to prepare the meal/pastry/whatever. Just as there is really good non-French food/products in Paris there is also really crappy French food/products too. David, when are you coming to Lisbon (again)? We do miss your reviews! By the way, I’ve tried to make them at home with no luck so far. If you ever find a recipe that approximates what you tasted, please, please, per favore, publish it! Good luck with the renovation work. 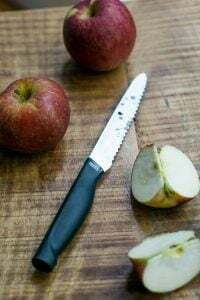 I posted links to two recipes at the end of the post that looked enticing. David Leite wrote a highly regarded book on Portuguese cuisine, so you might want to give his Pastéis de nata recipe a go. I wish my “to do” list were a little more like your “to do” list. Thank you again for sharing the Amazon deal re: Dorie Greenspan book’s last week. 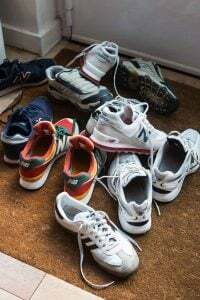 I was among the lucky who nabbed them and have been happily cooking ever since. If you’re ever in Los Angeles, Nata’s in Sherman Oaks has amazing queijadas, and I imagine the pasteis they serve are good too, though I’m not a big custard person. My fave Lisbon pastry, though, is chocolate salami. Thank you for this David! To me there is no greater disappointment than a poorly made pastéis de nata as they have been one of my favorite treats since I was a little girl…I adore them and usually wait until I’m in Lisbon as the few I’ve tried in Paris had crusts that were never quite flaky enough and the filling certainly had thickeners. I will make my was to the Marais soonest possible. yippee! 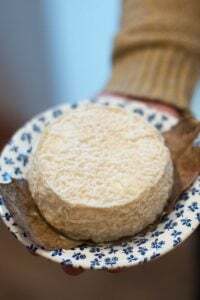 There are a great deal of Portuguese living in Paris and not a few go Sunday mornings to the gorgeous Portuguese food market by the Porte de la Villette. heavenly display of delicious truths. Nothing beats the pastéis de nata of the Porte de la Villette. Atmosphère comes free of charge.. I remember eating these non-stop on a trip to Portugal a few years ago. As you say it’s impossible to eat just one. 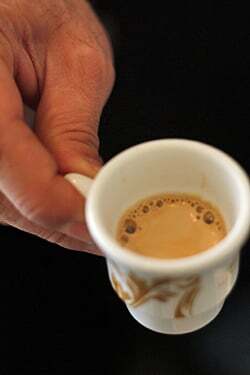 And as far as the coffee, the Portuguese make the best espresso I believe they use African beans for the most part. David Leite has a very good recipe for the pasteis on his website Leite’s Culinaria. Oh this makes me so happy. Just happen to be visiting Paris and can actually go to a place you suggest. Usually, I just dream of trying all your finds. I go to Pozzetti thanks to you too. It is the best. Hubby and I enjoyed eating a few of these delicious pastries in Lisbon. 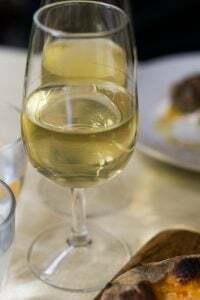 I will definitely try Comme à Lisbonne when we visit Paris again. Thanks for the heads up. Love all your posts. Custard tarts…I am so jealous! A perfect reason to visit Paris! Beautiful photos! Your posting today is a lovely coincidence. We had a perfect short espresso and a pastéis de nata at the wonderful Iberian Delight Portuguese cafe in Hyson Green in Nottingham just this morning. They make their own, but use a crispy pastry half way between puff and filo, and served slightly warm. Simply delicious. Those pastries look brilliant. Like the custard tarts you get with Dim Sum, but more delicate. I’ll be travelling to Lisbon later this year, and these have definitely made my list of foods of which I must find good specimens. David . I buy my Guerande ‘Fleur De Sel’ through Salt Works. They ship promtly, and are very reasonably priced. Large selection of salts. now i visit in PARIS! pendant 3 month!! i am eating food that you write this home page! i am happy!! because I want to eat food that you show me in this home page,in japan.all the time! thank you. I make good use of MY paris life !! Sounds to be a great place, something more to add for my next trip to Paris. Just came back from Prague, many great places but nothing Portuguese I discovered. @KS – I can confirm that the namesake pastels at Nata’s in Sherman Oaks are scrumptious, too. But it is significantly less romantic to find them in a mini mall behind Casa Vega than on a spring day Paris! On the plus side, much more affordable for an LA girl. I had these in Macao (those Portuguese are well-travelled). Mmm! Does anyone have a tried and true recipe for these? We buy them in Chinese bakeries in L.A. but it’s a long drive and I’d rather make them here and eat them just out of the oven. I don’t think I’ll be able to sleep tonight after reading your description, David – scrumptious. cuppa joe and pastries…my, my, my, but, to find both of them, and each divine within their own rite, well, that’s just genius! Fascinating, the historical comment left by Oliver above. I’d always wondered about the Chinese egg tarts seeming a tiny bit incongruous with other Chinese pastry, but now it makes sense! I’ll be in Paris in June for a few days. I’ll want to stop in at Comme a Lisbonne. Thanks. They are super yummy. 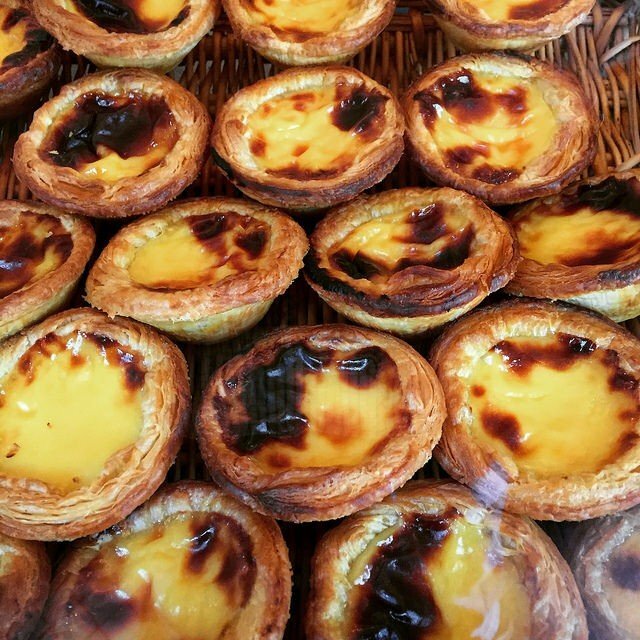 But having lived in Hong Kong & China for many years, I can say that the Portuguese egg tarts (the ones one gets over here) originally came from Macau and look as the picture you posted. The Chinese egg tarts come in the same size but taste is different . These egg tarts are highly popular in Macau! Most tourists never fail to bring back some home. The portuguese influence during the colonization. Long time no recipes from your kitchen, David. @Lena I’m from Hong Kong. 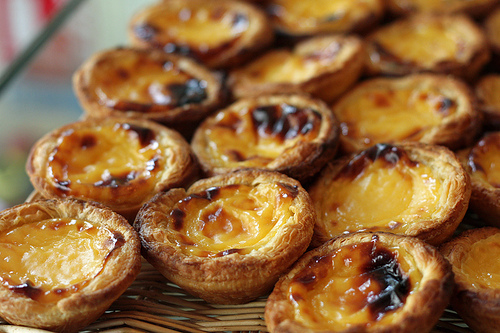 We call these “Portugese Tarts” in HK and they are not the same as our “Egg Tarts”. You can get the Portugese tarts in many places in HK, including KFC iirc. I believe we learned of them from Macau. And I think what @oliver says is true, as in the egg tart is from the portugese tart. There aren’t any other tarts in chinese bakery. And the word for tart in cantonese is basically the english word tart. Francesca, as David said there are two recipes for pastéis de nata on my site. I’ll admit they aren’t the easiest pastry to make. But if you have any questions with the recipe I’ll be happy to answer them. It is said that Portuguese medieval nuns always used vast quantities of egg whites to starch clothing, so there were plenty of yolks left. Hence the delicious Portuguese rich egg yolk-based desserts. 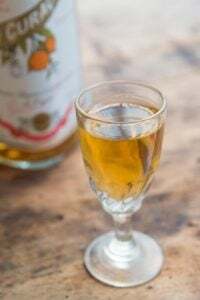 Also try ‘Ovos moles de Aveiro’. When you wrote “on my to do list” I got excited because I thought a recipe was coming and I just bought little custard and tartlette pans. Hope you attempt a recreation in your new, maybe not hot enough, oven. So that those of us living in NYC and elsewhere can have a little taste of Comme a Lisbonne too. Oh, my…I am drooling over my computer. How I miss those pasteis de nata…and uma bica. Utter, utter delight. Thanks for the morning flashback. Where’s the recipe? Try the egg custard tarts at Golden Gate Bakery in San Francisco’s Chinatown– they’re fantastic. Today, my husband and I went to Comme à Lisbonne and you were so right about the tartlets! The coffee was also great. We sat on the stools and talked to Victor. We each had a tartlet and coffee, then a second coffee and shared another tartlet. Thanks for posting this while we’re in Paris. Unfortunately, we fly home to Chapel Hill tomorrow. I have been a fan of this blog as well as your books, for quite some time. 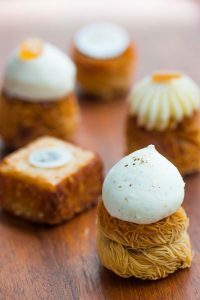 I’ve just returned from my first trip to Paris, where I used your recommendations for food/ shopping/ general courtesy as our guide to discovering the city. Thank you so much for all of your suggestions and insight and helping to make our trip absolutely superb! I literally stumbled upon this shop the other day and I loved it! There are only a couple shops in the world where I’ve had a Portugese egg tart as good as these ones. Although… I’ve never been to Portugal so I really should try the ones there. Having them served warm makes all the difference! The contrast between the soft warm custard and the the light, flaky pastry are divine. And thanks for the note about the coffee. Thanks to your blog I haven’t had a bad cup of coffee while visiting Paris. Very much appreciated! Oh my, that looks and sounds positively delectable! Too bad I was hungry when I read your post. I have already been to the kitchen to see if there is anything to substitute for those tarts, but, sigh, there isn’t. Just a stale milk chocolate bar, and even though I don’t like milk chocolate, I may just have to eat it…. Thanks for the post–I think! Oh David these Pasteis de Nata are so good, it’s a sin. I’m happy not to live too close to the Marais, so I’m not tempted on a daily basis. I highly recommend it. 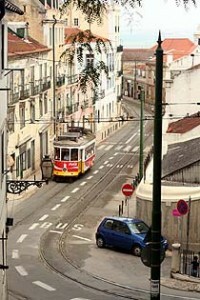 Very good to know about Comme à Lisbonne in Paris. 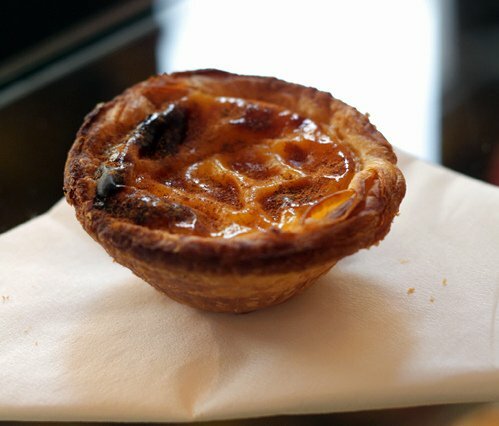 For the pastéis de nata but also because of our beloved bica :) I will try to go there next time. I shouldn’t, but am seriously considering detouring to Lord Stow’s Portuguese Egg Tarts shop on my way home… I am afraid i will end up gobbling an entire box… thanks to you! I hadn’t had them in months!